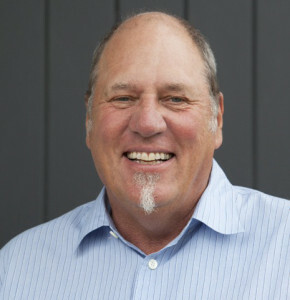 Richie Balsbaugh began his broadcasting career in Boston in 1972 with the Knight Quality Group Radio Stations, where he worked as a radio salesman, Sales Manager and later General Manager. In 1978, a tiny floundering radio station WWEL AM/FM located in Medford, MA, hired Richie as Vice President/General Manager. He changed the station call letters to WXKS (or simply Kiss 108) and changed its format to Disco, to keep up with the trends and popular music. This vaulted Kiss from the lowest in the ratings to the powerhouse it has been for the last 35 years. Richie also created the Kiss 108 concert which started in 1979 and still continues to this day. In fact, it became a model for more than 50 other radio stations throughout the country. As music evolved, Richie moved the format to Contemporary and in 1982 bought Kiss 108 and created Pyramid Communications. Using his success and innovations that he developed in Boston, he expanded his operations and bought stations in Philadelphia, Pittsburgh, Buffalo, Rochester, Charlotte, Chicago and JAM’N in Boston, as well as a marketing/research company in Princeton, NJ. In 1996, Pyramid capitalized on the deregulation of the radio industry, by selling its 16 radio stations to what is now Clear Channel Communications. Throughout many of his incarnations, Richie has remained a constant on Boston’s charitable scene and a regular contributor to many of the biggest events on the annual civic calendar.